The Chevrolet Volt may be getting a facelift in China, under the name Buick. A recent report from the Chinese automotive website Autohome, General Motors is considering rebadging the current Volt models, and selling the Volt as the Buick Velite in China. The report also included photos of the alleged Buick, supposedly from the Chinese Ministry of cars which is an agency that approves or denies new models in China. Looking at the photos of the supposed Buick Velite, the style is nearly identical to the Chevrolet Volt, aside from a few differences and the obvious differences, the badges. If the powertrain remains unchanged, the Buick Velite would use the 1.5L 4 cylinder engine, and a 18.4 kilowatt-hour battery. If the name Buick Velite sounds familiar, it should. The name Velite was first used on the 2004 Buick concept that was unveiled at the New York Auto Show back in 2004. The Buick Velite name was first used on a concept car that debuted at the 2004 New York Auto Show. 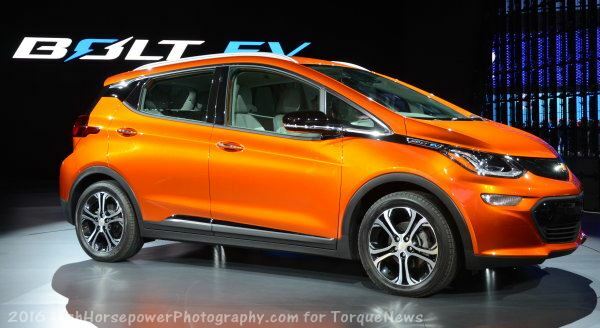 Considering how that car was powered with a 3.6L V6 and a 6 speed automatic transmission, it's a far cry from the supposed electric vehicle the Velite nameplate will be attached too. China has been the backbone of Buick for many years. When Pontiac was dropped from further production, Buick was also on the chopping block. The fact that Buicks sold incredibly well in China was, among other reasons, why Buick was kept in the GM lineup. If this indeed turns out to be true, this would be an exciting new vehicle to add to the Buick lineup. Only time will tell what happens with the Buick Velite.